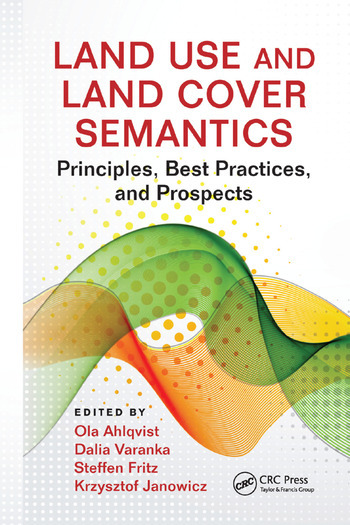 Focused on the information semantics of land use and land cover (LULC) and providing a platform for reassessing this field, Land Use and Land Cover Semantics: Principles, Best Practices, and Prospects presents a comprehensive overview of fundamental theories and best practices for applying semantics in LULC. Developed by a team of experts bridging relevant areas related to the subject (LULC studies, ontology, semantic uncertainty, information science, and earth observation), this book encourages effective and critical uses of LULC data and considers practical contexts where LULC semantics can play a vital role. The book includes work on conceptual and technological semantic practices, including but not limited to categorization; the definition of criteria for sets and their members; metadata; documentation for data reuse; ontology logic restrictions; reasoning from text sources; and explicit semantic specifications, ontologies, vocabularies, and design patterns. It also includes use cases from applicable semantics in searches, LULC classification, spatial analysis and visualization, issues of Big Data, knowledge　infrastructures and their organization, and integration of bottom-up and top-down approaches to collaboration frameworks and interdisciplinary challenges such as EarthCube. Land Use and Land Cover Semantics: Principles, Best Practices, and Prospects offers an up-to-date account of land use/land cover semantics, looks into aspects of semantic data modeling, and discusses current approaches, ongoing developments, and future trends. The book provides guidance to anyone working with land use or land cover data, looking to harmonize categories, repurpose data, or otherwise develop or use LULC datasets. Ola Ahlqvist, PhD, is associate professor of geography at The Ohio State University. He worked professionally with local and regional environmental planning in Finland and Sweden in the 1990s. After completing a PhD in geography at Stockholm University in 2001, followed by postdoctoral training at Penn State University, Ahlqvist joined the Geography Department at The Ohio State University in 2005. His research interests include semantic uncertainty and formal ontology in analysis of land cover change; how online maps, social media, and games form a nexus for spatial collaboration; and the scholarship of engagement in geographic information system and service learning. Dalia Varanka, PhD, is research geographer at the U.S. Geological Survey and adjunct professor at Johns Hopkins University. After working at the Field Museum of Natural History and the Newberry Library in Chicago, she received her PhD degree in geography from the University of Wisconsin–Milwaukee in 1994. She began her federal career as a physical science technician with the U.S. Bureau of Land Management in Milwaukee. She joined the Mid-Continent Mapping Center, Rolla, Missouri, in 1997 and became a research scientist in 1999. She conducts research in geospatial semantics and ontology and teaches a graduate-level course on that subject. Steffen Fritz, PhD, is a researcher at the International Institute for Applied Systems Analysis, Austria. He has a master of science in geographical information for development from the University of Durham, UK, and a PhD from the School of Geography at the University of Leeds, UK. As a postdoctoral fellow at the Joint Research Centre (JRC Ispra) Italy, his main focus was to mosaic, harmonize, and produce the Global Land Cover GLC2000 database, but also studied the uncertainties in global land cover. Since 2007, Dr. Fritz has been at International Institute for Applied Systems Analysis (IIASA, Austria), where he became the initiator and driving force behind Geo-Wiki.org a global land cover validation tool based on Web 2.0 and crowdsourcing to reduce uncertainties in land cover and land use in particular. Since 2014 he is group leader of the Earth Observation Systems group within the Ecosystem Services and Management Program at IIASA. Krzysztof Janowicz, PhD, is an assistant professor for geographic information science at the Geography Department of the University of California, Santa Barbara (UCSB). He is the chair of UCSB’s Cognitive Science Program and one of two editors-in-chief of the Semantic Web journal. Before moving to Santa Barbara, he was an assistant professor at the Pennsylvania State University and a postdoctoral at the University of Muenster, Germany. He is studying the role of space and time for a knowledge organization and is especially interested in geosemantics, geo-ontologies, and geographic information retrieval. "The book is a collection of articles written by well-known scientists in Spatial Information Science. The book editors and reviewers led by Dr. Ahlqvist – recognized specialist in the land use and land cover data treatment, provide careful selection and high quality of published material. I find this book to be a timely and helpful resource that gathers many different strands of quality research on increasingly pressing issues around the integrated use of land use and land cover data."